Joe’s Crab Shack is a beach-inspired, casual dining place that mainly serves seafood dishes. They also offer “mainland” dishes like steak and chicken, as well as mixed drinks and beer. They first opened in Houston, Texas, in 1991. They underwent different ownership, when Landry’s Restaurants, Inc. purchased the brand in 1994 and sold it to the Ignite Restaurant Group in 2006. However, Landry’s Restaurants, Inc. repurchased it in 2017. 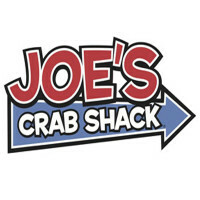 Today, Joe’s Crab Shack has more than 100 branches in about 30 states, with a workforce of about 10,000 employees. They also received a MenuMasters award in 2014 for their improved menu and service. Other than the discounted food prices and training, Joe’s Crab Shack also provides helpful benefits to its employees. Full-time team members can have access to life insurance, 401k, medical, dental, vision, and paid vacation. However, benefits are only half of the fun. The employees also get to enjoy the fun environment in the restaurant. Thanks to its casual atmosphere, the staff is able to enjoy their work while maintaining good work ethics. If you’re at least 16 years old, then you’re free to apply for a job in the restaurant. However, jobs that involve alcohol (like bartending) require at least 18 years of age. The company provides a wide range of career opportunities, from jobs that offer the hourly wage to managerial posts. Whether you’re a student looking for a part-time job or a fresh graduate job-searching, they have it for you. Listed below are some of the career opportunities in the company. Busser: A Busser makes sure that the restaurant is clean and clutter-free. They promptly remove dishes and clean tables after the customer leaves. They work side by side with the servers and dishwashers to maintain cleanliness and deliver dishes and utensils for washing. Host: A Host is responsible for ensuring the customer’s comfort the moment they enter the restaurant. They will be the ones to greet and guide the customers to their tables and make sure that the time restrictions are being followed. Server: A Server is tasked to take the orders of the customers and ensure the quality of the food to be served. They help the diners in choosing their dishes and provide suggestions. They are also responsible for the cleanliness and bussing of the tables. Bartender: A Bartender mixes drinks ordered by the guests. They man the bar and maintain its cleanliness while satisfying customer orders. They regulate alcohol consumption and ensure its proper distribution. They also keep in mind the recipes for the mixed drinks and instruct them to other staff if needed. Dishwasher: A Dishwasher maintains the cleanliness of the restaurant inside the kitchen. They wash and dry the dishes, clean equipment and work areas. They are also tasked to observe proper waste disposal and can assist the other team members if needed. Line Cook: A Line Cook prepares, cooks, and garnish food ordered by the guests. They make sure that food is properly kept to the standards of the restaurant. They are also liable for the maintenance of the cleanliness of the kitchen, especially their specified workspace. Brand Ambassador: A Brand Ambassador promotes the restaurant as the “Face of Joe’s” or “Joe’s Cheerleader.” They will plan campaigns and conduct SWOT analysis to ensure the success of the marketing strategies. They will report to the General Manager and participate in meetings to give updates on the marketing programs. Restaurant Manager: A Restaurant Manager monitors the operations inside and outside the kitchen. They ensure the customer’s satisfaction by checking on the food preparation and service and solving concerns immediately. If the team needs another staff number, they will be the ones to hire a new employee. Restaurant General Manager: Just like the Restaurant Manager, a Restaurant General Manager is in charge of the close monitoring of food operations. They will make sure that the customer’s satisfaction is met and address problems and complaints should any arise. They are also responsible for recruiting new employees and training them. Executive Kitchen Manager: An Executive Kitchen Manager preserves cleanliness and sanitation in the kitchen. They make sure that the products will be prepared with utmost care and according to the standards set by the restaurant. They are also in-charge of the inventory and proper observance of the food recipes. They have a website where the applicants can browse through the vacant positions needed by several branches. Interested applicants can visit their site and apply online. Although most applicants choose to send their resumes and information online, the company also accept applications in person. Just visit the branch that is looking for a new employee and inquire there. If you opt to apply online, you might have to make an account in their site first before sending your resume. Expect a call or an email after a few days for the interview. Resumes can be submitted online. Keep your resumes brief and relevant to the position you’re applying for. If you’re applying for a line cook, for example, include only cooking seminars and classes you attended and experience related to the food industry. Interview questions are mostly on work ethics, availability, and reactions on certain case scenarios. It’s more advantageous to be familiar with the place you’re applying too, so get to know the menu and the restaurant itself. Families pick Joe’s Crab Shack because of its fun atmosphere and surprises, which the kids enjoy. To add to its appeal, the restaurant is decorated with boat parts and beach decorations accompanied with music. In 2016, news spread after the management experimented on the no-tipping policy. The policy was since then scraped off after the customers insisted on giving tips to reward competent service. Despite the various changes, they are still known for their crab buckets and periodic dances performed by the staff themselves. The customers also get to wear the restaurant’s makeshift bib to let them eat their seafood without worries. They also conduct charity events. Last year, the company partnered with Autism Speaks to help raise funds for people with autism. Guests received some freebies from the restaurant as thanks for their donation. 1 How old do you have to be to work at Joe’s Crab Shack?